Natasza Pelinski is a young Polish Jew taken to Auschwitz. Her childhood stolen from her, she quickly matures and in the process discovers she has psychic gifts. She develops a relationship with the ghost of a professor, who becomes her spirit guide. He in turn enlists her aid on a mission of salvation for the Jewish people. As well as helping her survive in the brutal conditions of the camp, he teaches Natasza the secret of healing and how to move past anger toward compassion. She forms the Sisters of Light, a group of young women who, although they have few medicines to offer, bring gifts of love and forgiveness to their fellow prisoners. They form a bond of the heart that sustains them and keeps them connected through the horror of their daily existence. Author Tarra Light was raised in an East Coast Jewish family but had little knowledge of the Holocaust while growing up. 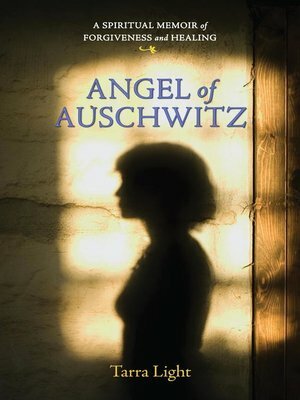 During past-life regression therapy in 1996, she began to access a previous life as an inmate at Auschwitz. Her newly unlocked memories form the basis of this eloquent testimony to the power of the spirit in the most dire circumstances.